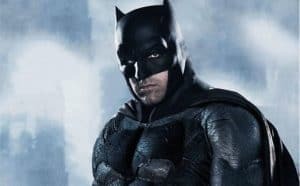 Batman Solo Movie May Not be Directed by Ben Affleck | Nerd Much? The Batman solo movie may not be directed by Ben Affleck as originally planned. Now it seems like his role as the director is still up in the air. We hope not. Back in December, Affleck had mentioned that the script was receiving the finishing touches. If that is the case, we should know Affleck’s position relatively soon. Tentatively, the upcoming Batman solo movie is called The Batman. Little is known about the story, but footage of Deathstroke was teased back in August by Affleck himself. Joe Manganiello has been cast in the role. We really hope that Affleck ends up directing the Batman solo movie. His career as a director has had an incredibly high success rate. Live by Night, Affleck’s most recent work, has been his only flop. Even then, it has still been called good. Other works like Argo and The Town have been reviewed incredibly well. However the movie ends up, we can be sure that it will review better than Batman v Superman.